Exclusive! 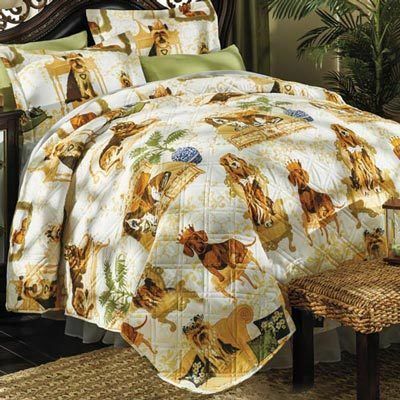 Doggone-cute print is picture perfect on any bed! This extra-soft, easy-care reversible Master of the House quilt set is sure to be an instant classic. Polyester microfiber with polyester fill. Machine wash. Imported. Limited Quantities! 35 yrs breeding beautiful bassets...this certainly captures their attitude toward life. FUN, FUN & MORE FUN!!! Not top quality sewing, but I just love those puppies!